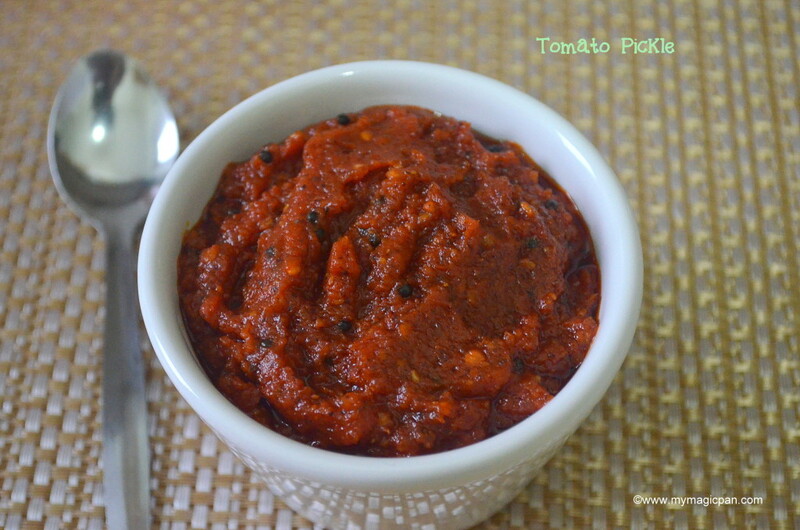 The word tomato thokku/tomato pickle makes me drool!! Slurp!! 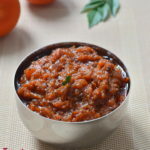 Its such a multi-purpose side dish that I can have this tomato pickle with almost anything and everything!!. 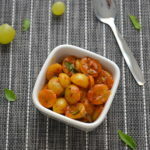 I have already posted a tomato thokku recipe earlier. This one is my cousin’s version, yet another hit in our house.. 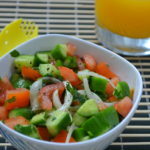 If u r looking for a No onion No garlic recipe, this is the one for u!! 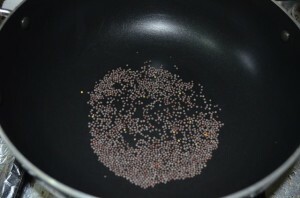 Heat a pan and dry roast mustard seeds until they splutter. Keep this aside. 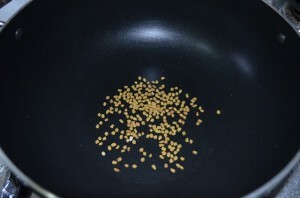 In the same pan dry roast fenugreek seeds until u get a nice aroma. Do not burn them. 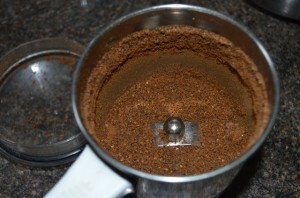 Let it to cool and grind it into a coarse powder. 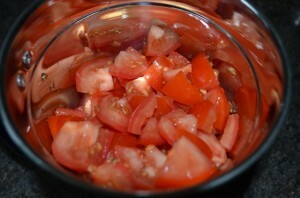 Wash and chop the tomatoes roughly. 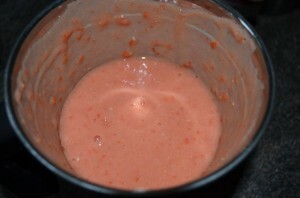 Blend them in a mixer into a puree. Keep this ready. 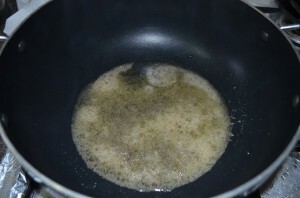 Heat a pan with oil and temper with mustard seeds.Once the mustard splutters add asafoetida. 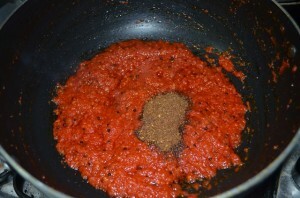 To this add the tomato puree and mix well. 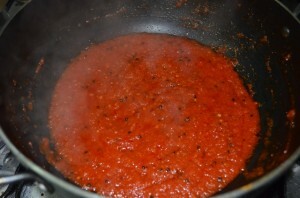 Add required salt and chilli powder, mix and cook it covered in medium flame as it will splutter. 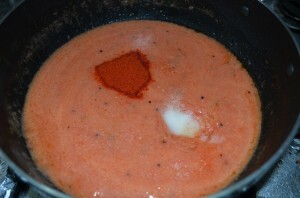 U can see that the tomato puree will loose all its water and oil will start oozing in the sides (approx 20 to 25 mins). Now add the mustard and fenugreek powder and mix. Cook for another minute and switch off the flame. 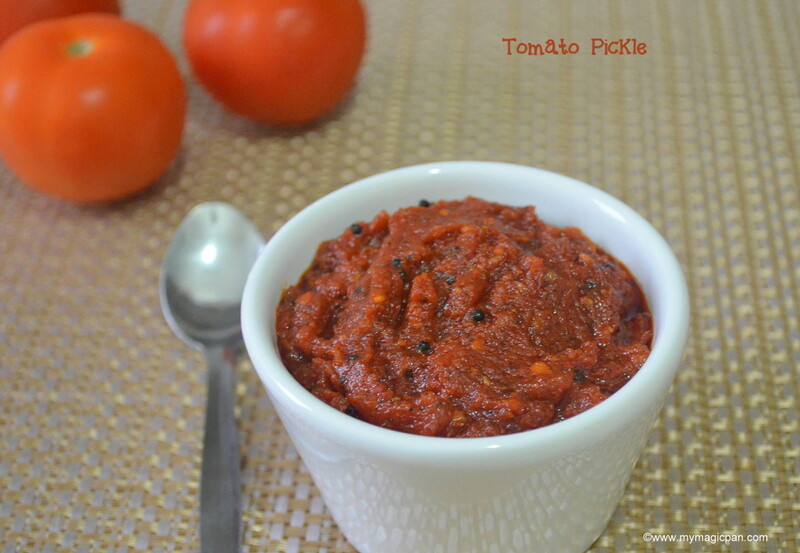 Tomato Pickle / Tomato Thokku is ready. Once it cools, store in an air tight container and refrigerate. Use a clean, dry spoon to handle the tomato pickle. 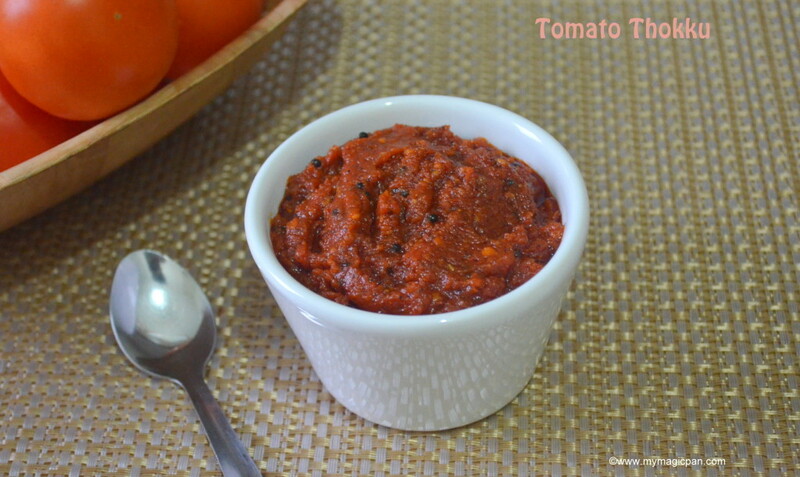 Use red,ripe tomatoes to make the tomato thokku. Gingely oil has a unique flavour, so do not skip it. Simply loving this, can have two extra idlis with this thokku..
yummy thokku and attractive colour!!!! Looks Delicious and wanting to have it now:) Nice pics too..
Looks really good! 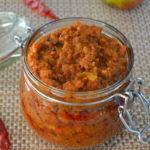 Great to discover another variation of tomato pickle here. Looks so tempting! Curd rice with this is my favorite combo! A new & delicious pickle…………love to try. OMG! !just look at that colour…it looks so delicious!